March 2018 - Comprehensive FOG Study for the Army Recognized In Public Works Digest — Potomac-Hudson Engineering, Inc.
PHE was recently recognized in an edition of the Army’s Public Works Digest for a project that PHE completed at the United States Military Academy at West Point. The Public Works Digest is a publication of the U.S Army Installation Management Command. 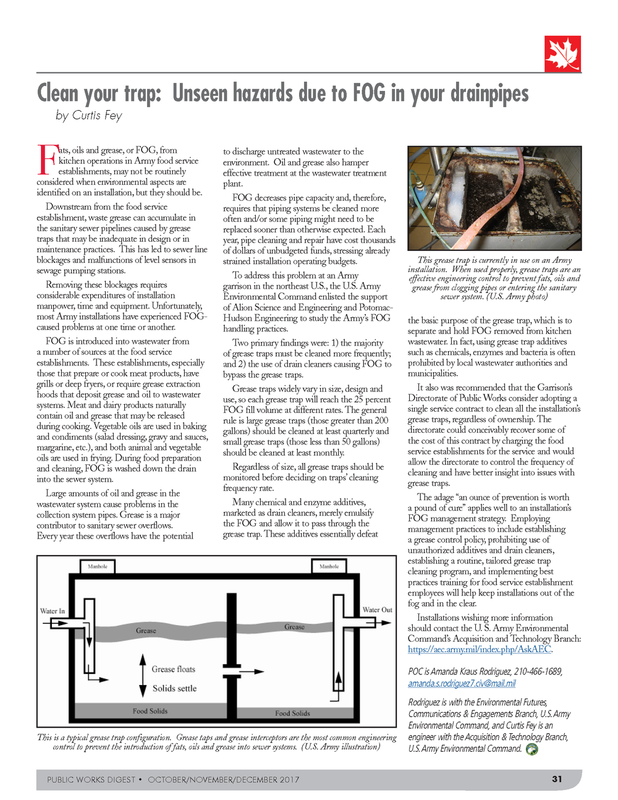 PHE performed a detailed study of fats, oils, and grease (FOG) management to inventory and assess current FOG management infrastructure, make detailed recommendations for improving FOG management and reducing costs of the program, and develop standard operating procedures and training materials to aid in the implementation of the program facility-wide.